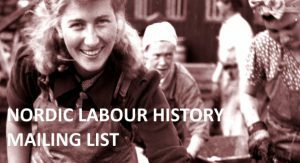 The fuction of the institution is to collect, attend to and register, from the archive point of view, important protocols and other documents from the Swedish workers’ organizations, as well as literature and other material on the history of the labour movement and it’s ideological development. The foundation shall collaborate with the National Archives, National Library of Sweden and other relevant institutions as well as in their activities strive to facilitate the researcher and student public opportunities to access the material of the institution. For the Swedish Labour Movement’s Archives and Library there shall be an executive board situated in Stockholm. The board shall consist of five principal members. Thmembers are appointed for a time period of four years, two by the Goverment, one by Social Democratic Labour Party, and two by the Trade Union Confederation. The board appoints within itself it’s Chairman and Vice Chairman. For each member there shall aswell be an apopinted alternate. For the institution there shall be a Head of institute, which exercises the direct management of the business in accordance with the detailed regulations announced by the Board. The Board meets on the notice of the chairman. The Board shall meet at least once every six months. The Board is decisive when all the principal members are represented. Like the Board’s decision, the meaning is what most unite; At the same number, the chairman has a ballot. At the meetings of the Board shall be recorded minutes, indicating which ones are present, the Board’s decision and the different opinions that must have been expressed, as otherwise considered to be included in the minutes. The institution’s fiscal year is equal to the calendar year. The Board, the Head of institution and the institution’s accounts shall be audited annually by three accountants. The accountants are appointed for a period of four years at a time, one of the Government, one jointly by the Social Democratic Labour Party and the National Organization, and one third, to be authorized by the accountants so appointed. Teh accountants shall submit an audit report to the Board, as well as to the Head of the Ministry of Culture, the Office of the National Audit Office, the Social Democratic Labour Party and the Trade Union Confederation, annually before the end of March. For each financial year, an activity report shall be prepared.